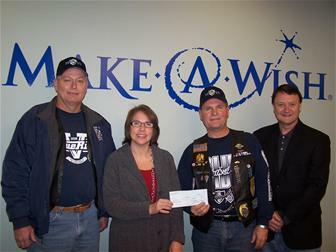 Coroner Tim Warco is a member of many civic organizations and attends a LOT of community activities and functions. You never know where you may find him! Newest content is at the bottom, so jump down to see the latest photos. Coroner Tim Warco and Forensic Pathologist Dr. Leon Rozin Dr. Rebecca Plute, Medical Director. Dave Thumm, WM Washington Lodge 164. Grandsons Timmy III and Brennan at the 2015 Washington County Agricultural Fair 2015 Washington County Fair Ambassadors, Mr. and Mrs. Roy and Betty Naser. 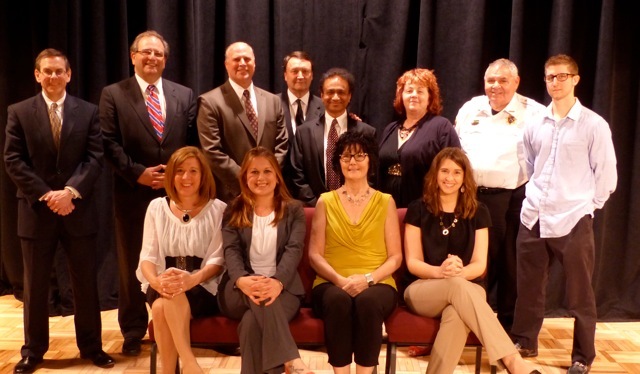 The 2015 Washington County Agricultural Fair Board, Opening Ceremony. Winners of the 2015 "Small Pet" Competition at the Washington County Agricultural Fair. Back Row: Larry Maggi, Tim Warco. Front Row: Winners with Washington County President Judge Katherine Emery. Dr. Brian Matusic at Advanced Orthopedics. Dr. Cyril Wecht, Aunt Thelma Piatt and Tim Warco. Rudy DiNardo's Cooking Crew, 2016 Italian-American Society Dinner. 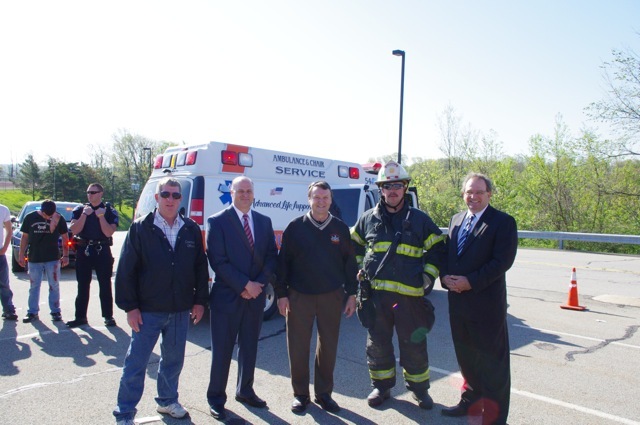 Coroner Tim Warco, Deputy Coroner Tim Warco II, Deputy Coroner Hillgartner and First Responders participated in Trinity's 2016 Mock Crash. Representative Brandon Neumann delivering a speech on Flag Day, 2016 at the Washington Elks. Flag Day 2016 at the Elks Lodge, Washington. Hickory AG 4H Club at Washington County Agricultural Fair, 2016. Chief Coroner's Assistant Tina McFall was among 30+ County employees with perfect attendance in 2015. Washington City Police K9 Officer Golem and his partner, Officer Karlowsky Renowned pathologist Dr. Cyril Wecht, Pennsylvania's Attorney General Josh Shapiro, and solicitor Susan Shanaman, Esquire. ​In memory of Tim's parents, Stanley "Stush" and Lois Warco ​Our friend Holly met President Clinton! Tim with the legendary B.E. Taylor in December of 2015. ​Tim and Pennsylvania State Police Corporal Bardzil. Deputy Coroner and Solicitor Steve Toprani, Pennsylvania Attorney General Josh Shapiro, Tim Warco and at the​ 2017 Forensic Symposium; Duquense University . Tim and his friends from Galiffa's Pizza, Donora at the 2017 Washington County Agricultural Fair. Tim sits between Mallory Onusko and Jessie Camilli, Fayette County Deputy Coroners, at a 2017 Continuing Education event. Tim Warco, Rudy DiNardo, and friends at the 2018 Italian dinner. ​Tim with Ben Wecht and Dr. Cyril Wecht at the Wecht Insitute's 2018 symposium, "Of Kennedys and Kings: Reinvestigating the assassinations at 50." ​Tim and a Skype session with Dr. Thomas Noguchi, famed Los Angeles County Chief Medical Examiner, during the Wecht Institute's study of Robert F. Kennedy's death investigation. ​Some of the historic Pennsylvania Rail Road cars in Williamsport. Another shot of the Pennsylvania Rail Road units in Williamsport. 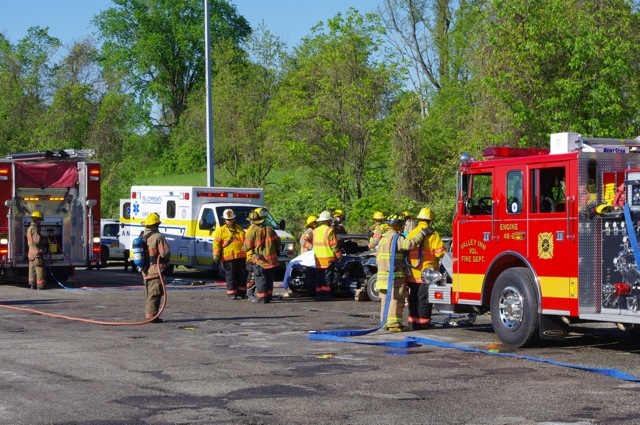 ​Pennsylvania State Coroner's Association president Chuck Kiessling (center) and participants in the PSCA's 2018 Mass Fatalities Exercise held in Williamsport, PA. ​​Participants from across the state played a crucial role in the Mass Fatality Exercise. Some familiar faces, including Deb Smeal and Judy Pleskonko, Centre County; Patti Ross, Blair County Coroner; Charley Hall, Cumberland County Coroner; Wendy Hastings, Sullivan County Coroner and Jimmy Johnson, Investigator for the Allegheny County Medical Examiner's office. Deb looks a little cold there on the extreme left! The Mass Fatality exercise simulates a real-life disaster, from the death investigation and recovery to providing support with a Family Assistance Center. 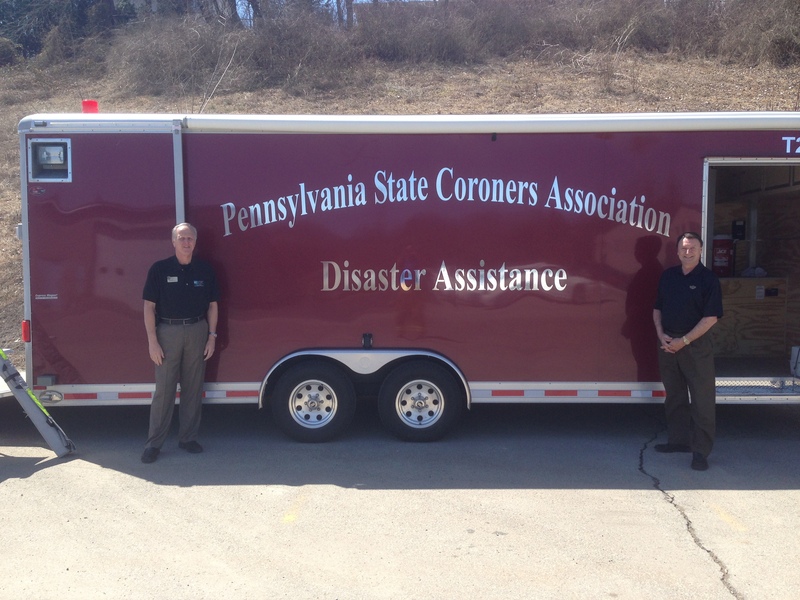 Cumberland County Coroner Charley Hall (left) and one of the Pennsylvania State Coroner's Associations refrigerated morgue trucks. Placed strategically across the Commonwealth, one or more trucks can be sent to help cope with a mass fatality incident. ​Matt Stoner, Chief Deputy Coroner for Cumberland County and Judy Pleskonko, Chief Deputy Coroner for Centre County during the exercise. ​A Life Flight helicopter landing during the event. ​​Tim and B.E Taylor at Capitol Music Hall, Wheeling in 2016 ​Tim and B.C Taylor, son of the legendary B.E. Taylor. ​Dave Blose, Memorial Day 2018. ​S. Timothy Warco II and Tim's grandsons, B.B. and Timmy III. ​Memorial Day 2018. ​Members of the Pennsylvania State Coroners' Associations plan a special send off to former Greene County Coroner Greg Rohanna. ​Chief Deputy Yancosek was awarded for Perfect Attendance in 2018. Left to right, Assistant Director of HR Andi Johnston, Benefits and Wellness Coordinator Pat Maxon, Yancosek, Warco, and Director of HR Shelli Arnold.